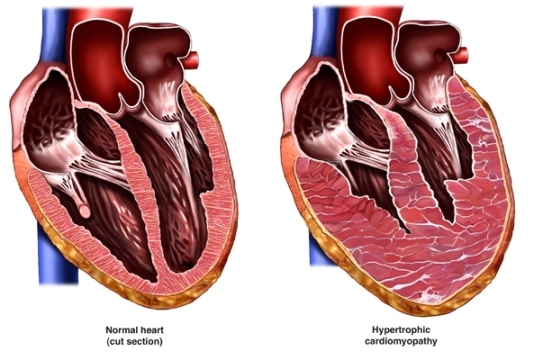 End stage heart disease that is life threatening and cannot be fixed with medication or other surgeries, but you are in otherwise good health—This is most often due to cardiomyopathy , which is a disease of the heart muscle, along with severe heart failure . Cardiac transplantation immunosuppressive and adjunctive therapy. EBSCO DynaMed Plus website. Available at: http://www.dynamed.com/topics/dmp~AN~T909193/Cardiac-transplantation-immunosuppressive-and-adjunctive-therapy . Updated December 16, 2015. Accessed August 29, 2017. Cardiac transplantation procedure and immediate postoperative care. EBSCO DynaMed Plus website. Available at: http://www.dynamed.com/topics/dmp~AN~T909192/Cardiac-transplantation-procedure-and-immediate-postoperative-care . Updated October 30, 2015. Accessed August 29, 2017. Explore heart transplant. National Heart, Lung, and Blood Institute website. Available at: http://www.nhlbi.nih.gov/health/health-topics/topics/ht. Updated December 9, 2016. Accessed August 29, 2017. Evaluation and management of patients after cardiac transplantation. EBSCO DynaMed Plus website. Available at: http://www.dynamed.com/topics/dmp~AN~T909194/Evaluation-and-management-of-patients-after-cardiac-transplantation . Updated December 1, 2015. Accessed August 29, 2017. Heart transplant. American Heart Association website. Available at: http://www.heart.org/HEARTORG/Conditions/CongenitalHeartDefects/CareTreatmentforCongenitalHeartDefects/Heart-Transplant%5FUCM%5F307731%5FArticle.jsp. Updated July 24, 2015. Accessed August 29, 2017. Patient's guide to heart transplant surgery. University of Southern California website. Available at: http://www.cts.usc.edu/ht-pg-hearttransplantprocedure.html. Accessed September 19, 2017. Selection and timing of patients for cardiac transplantation. EBSCO DynaMed Plus website. Available at: http://www.dynamed.com/topics/dmp~AN~T906136/Selection-and-timing-of-patients-for-cardiac-transplantation . Updated August 11, 2017. Accessed August 29, 2017.